Schedule a Repair - pdblowers, Inc.
We repair and service all brands that we distribute, as well as most others in the market. We have skilled mechanics at both of our east coast locations, who test every repair to ensure successful operation before return. We also refurbish and retrofit systems to keep them effective in the field. 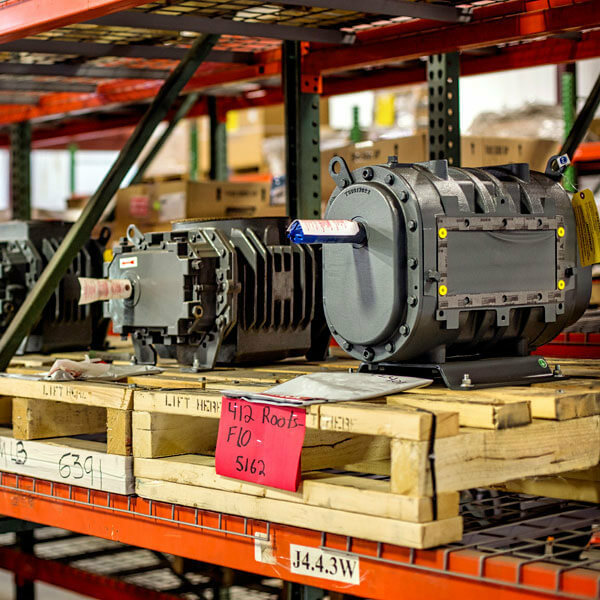 If you have a blower or vacuum pump in need of service read on to learn about our repair services and schedule an inspection, or contact us if you have other systems that may need work. Our service team will review your information and our service schedule. We will respond via email and let you know which of our service locations can accept your unit for inspection. You will ship your unit via prepaid freight to the specified location. 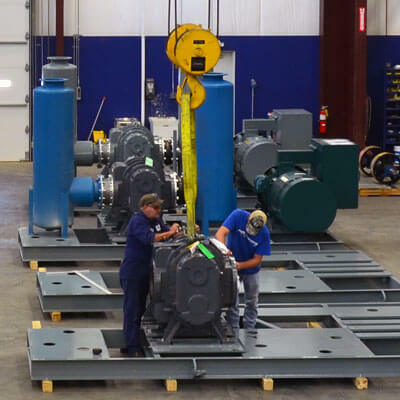 Our service team will receive your unit, and disassemble it to a point where we can determine whether a full disassembly is necessary for a full inspection. We will send you a report of its condition and what actions are required to make it like new. This typically takes 1-2 weeks. Repair costs depend on what is required for your specific unit, however standard repairs average 35-55% of the unit replacement cost. Click here for sample pricing guidelines. 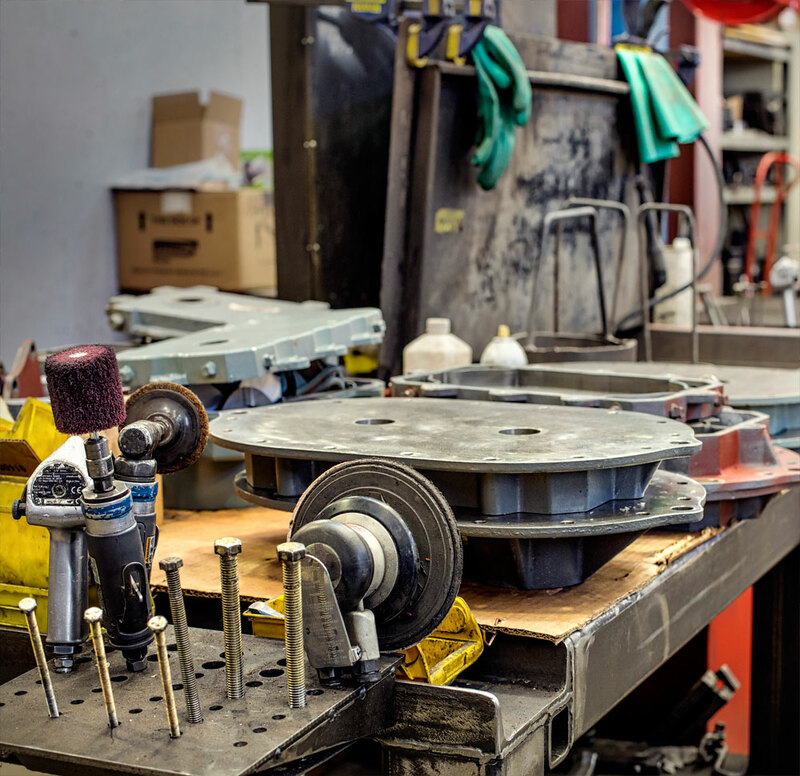 You will determine whether the unit should be repaired, scrapped, or returned to you in its current condition. If you give approval to repair the unit we will then rebuild it to factory tolerances, including any required machining. 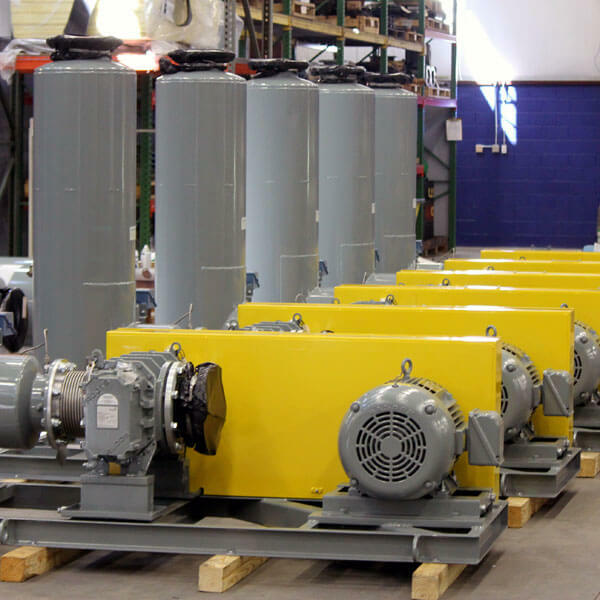 Painting the unit, cleaning the head plates and bead blasting of impellers and cylinders are all included in the price of the repair. 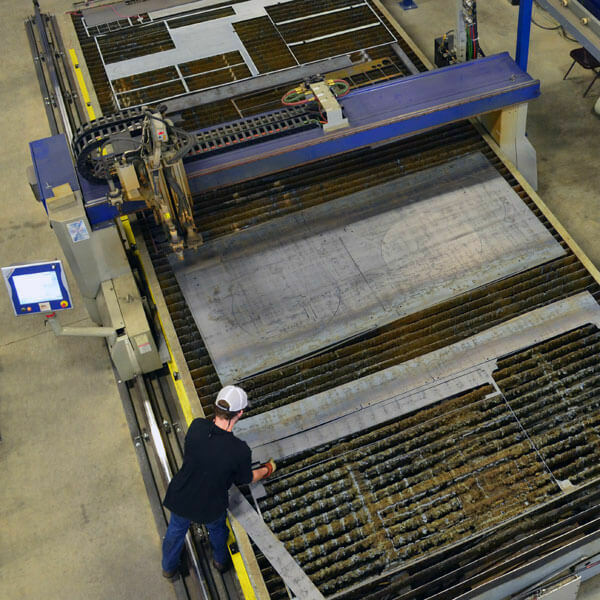 After repair, your unit will be mechanically tested to ensure it will perform as expected. Finally your unit will be shipped back to you, ready for use and with a 12 month pdblowers warranty. To schedule an inspection of your blower or vacuum pump, fill out the form below. You can also print out the form and fax it to 770-538-0022. All fields are required unless otherwise noted. Provide information about the unit that will be inspected. If you need assistance identifying your model or serial number click to view our guide. If your unit may be covered by a Roots™ manufacturer warranty, the following information is required to help us determine which repair services may be covered under your warranty and to process the warranty claim. Provide your contact information. This address should be your primary company address. After an inspection or repair is complete, pdblowers will ship your unit back to you via prepaid freight. Other options—scrapping the unit or local pickup at the service facility—can be discussed after your initial inspection is complete. Note, if your unit is covered under a Roots™ warranty, there will be no return shipping cost. If any approved repair work is to be billed to a third party, enter their billing information.